Synopsis: The story of three African-American women who played pivotal roles in the early US space program. In the wake of an outcry over the lack of diversity regarding Oscar nominations – and, let’s face it, by diversity we’re talking about blacks rather than Hispanics, Latinos, Asians, Chinese, Japanese, and so on – Hollywood has apologetically begun churning out a crop of films recounting the black people’s struggle for equality in America. To be honest, the tendency of white filmmakers to define black people on screen only in terms of the inequality they have suffered because of their colour is a little off-putting – after all, are black filmmakers not better qualified to tell such stories? Hidden Figures, Theodore Melfi’s account of the part played by three black women in the early years of the US space program, goes one step further than this current crop of movies by harnessing a story of racial prejudice to one of gender inequality. It’s an engaging enough tale that benefits from superior production values and some committed performances from a talented cast, but, like so many before him, Melfi finds it difficult to come up with a fresh angle on a familiar story of triumph over prejudice. 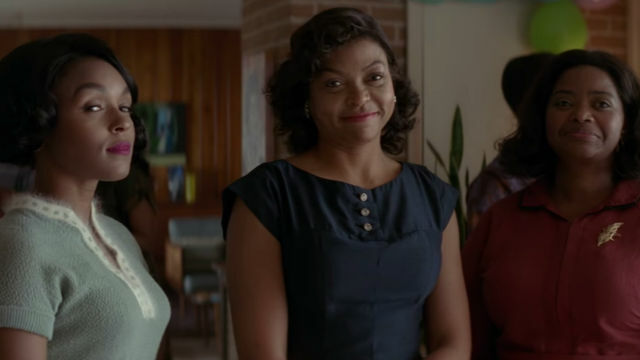 The movie revolves around the lives of these three black women of outstanding intelligence who work together as ‘computers’ at NASA in the early 1960s. Segregated from their white co-workers, they work together calculating the mathematics necessary to get a rocket into space. Pressure on the agency increases ten-fold after it’s surprised by the news of the Russians’ success in putting a man into orbit around Earth, and Dorothy Vaughn (Octavia Spencer – Get On Up, Zootopia) assigns her friend, widowed single mother of three Katherine Goble (Taraji P. Henson – Smokin’ Aces) to the Flight Research Division, the domain of all-white, predominantly male technicians whose uniform consists of crisp white shirts with pens in their pockets. Al Harrison (Kevin Costner – Batman v Superman: Dawn of Justice, Criminal), the head of the division, is a pragmatic type who cares nothing for the race or gender of his staff as long as they can do their jobs, but elsewhere within the department Katherine struggles with the thoughtless prejudice of her colleagues and, in particular, the mistrust of Head Engineer Paul Stafford (Jim Parsons, whose wide forehead is in danger of typecasting him in egghead roles). Meanwhile, Dorothy feels exploited due to the fact that she has served as an unrecognised and underpaid department supervisor for almost a year, and Mary (Janelle Monáe) finds her ambition to become an engineer thwarted by the fact that coloureds are prohibited from all the colleges that teach the programs she needs. Like most Hollywood biopics, Hidden Figures takes some liberties with the facts – for example, Goble encountered nothing like the level of prejudice from her colleagues that the film would have you believe, and was, in fact, treated as a peer. It does a good job, however, of illustrating just how deeply rooted government-sanctioned racism was in the US culture of the 1960s, and of the challenges faced by under-valued talents like Goble and her friends. All three female leads give creditable performances, but Spencer makes the best use of limited screen time to convey her character’s quiet dignity and inner resolve. 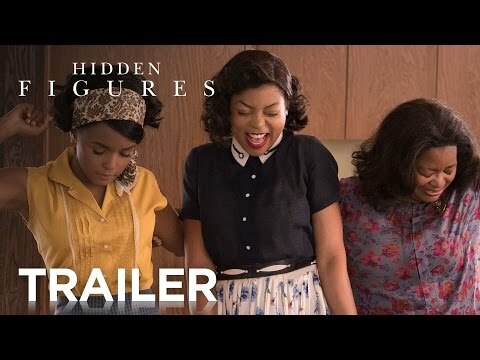 Hidden Figures’ only real problem is that mathematics is a dry subject, and so Melfi and co-writer Allison Schroeder feel obliged to shoehorn in a half-hearted romantic sub-plot and unsuccessfully endeavour to inject an element of final-reel suspense that simply doesn’t work.